So first things first, we are reviewing food again! As we mentioned in yesterday’s article about what to expect from us this year, restaurant coverage is coming back, but in a different way. So here we are. The inspiration for today’s review came from some of our holiday anime viewings. While we were enjoying our downtime, we watched the first season of Food Wars! Shokugeki no Soma (review coming soon). In a couple of episodes, there were mentions of curry and bento boxes. Of course, this led to out of control cravings that needed to be taken care of. We decided that a trip to Fujiya Market was in order. Fujiya Market is a konbini, or Japanese Convenience Store, located in Tempe. Convenience stores like this are found all over Japan. 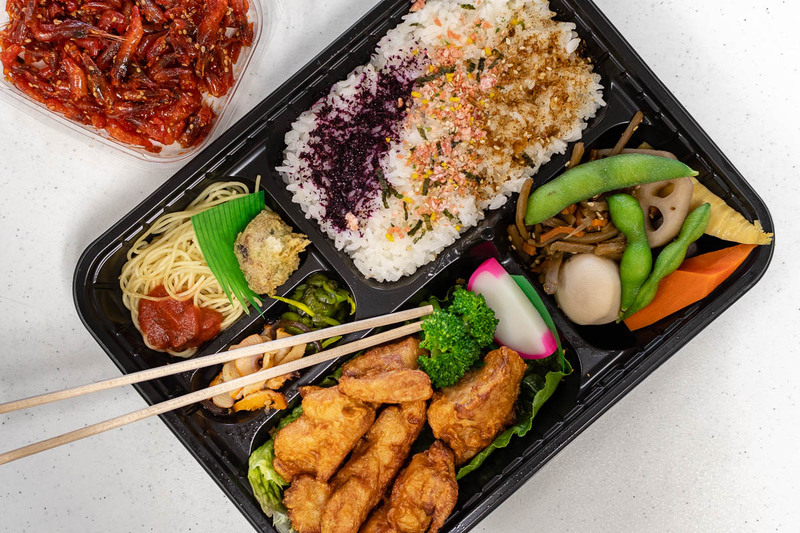 They not only have packaged snacks and sweets, but also offer meals, onigiri (rice balls), sandwiches, bread, bento boxes, instant ramen, microwave meals, and hot foods like fried chicken, nikuman and oden. Some cold foods, such as onigiri, can be heated in the store. Convenience Store Food is a really big thing in Japan and there are TONS of YouTube videos of people trying the different offerings. Unagi Don- This is eel served over rice which is a real treat! This is easily one of our favorite places to get this dish. If you have tried unagi it is simply a must! 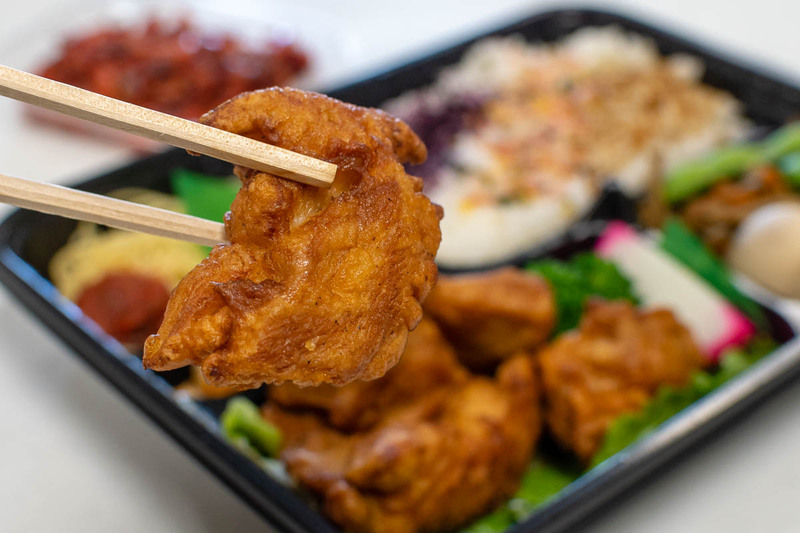 Bento Boxes- Most recently we tried the karaage (fried chicken) and it was delicious! The chicken was juicy and had great flavor. Not to mention, you not only get the main dish but other little bites of things such as pickles, vegetables, rice with furikake, and more. 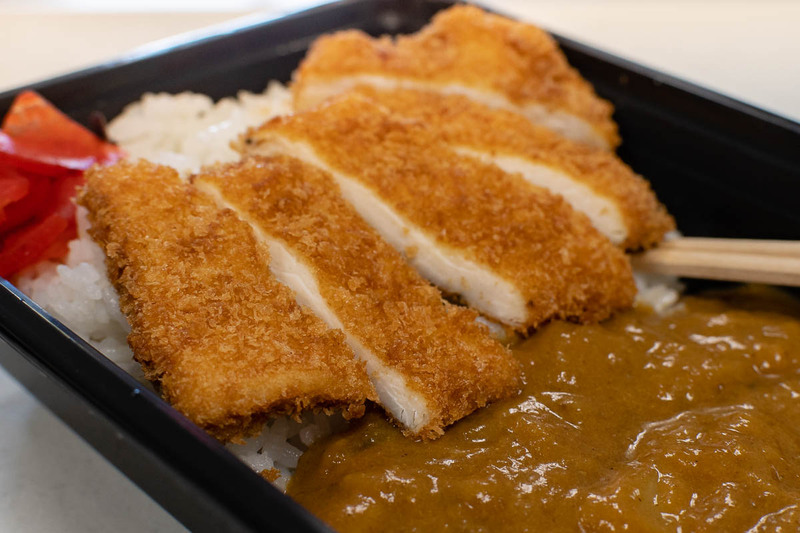 Chicken Katsu Curry- This is chicken katsu (breaded chicken) served on rice with a side of Japanese curry. Onigiri- These little rice balls are filled with either pickled plum, salmon, or kelp (though sometimes they have other fillings) and a wonderful handheld snack. Kewpie Mayo- Kewpie Mayo is a Japanese style mayo that tastes a bit different than American mayo. Shiso Fumi Furikake- Furikake is typically sprinkled over rice. Shiso, also known as perilla or beefsteak plant, has a distinctive flavor and is a relative of the basil and mint families, but has a stronger flavor reminiscent of anise. Instant Miso Soup- Now this doesn’t sound like something you’d need to go to a specialty store more but Fujiya carries Osuimono Miso soup which is more of a clear broth. It’s perfect for cold weather. Ao Kappa Zuke- Based on the name you probably have no idea what this is. It is actually a really simple food. Pickles. These little pickles are found in most bento boxes and donburi bowls. However, you can also buy them on their own and they are delicious. 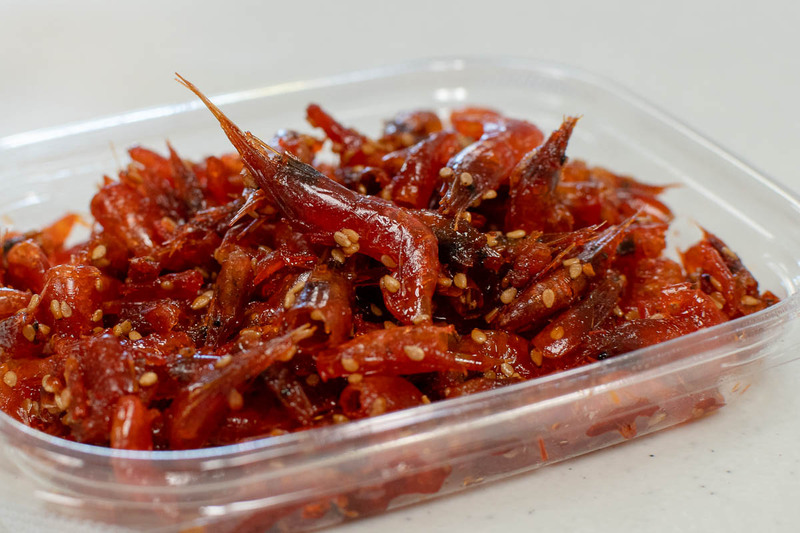 Season items- We try to also pick up various seasonal items like candied fish and whatnot to enjoy later than evening. We absolutely adore Fujiya Market and always enjoy our visits there. We are so excited that we could share one of our favorite places with you! Have you been? What are some of your favorite things to eat there? Let us know in the comments below or tag us on social media! *The Geeks were not compensated or given any comped items to facilitate this write-up; All opinions are wholly our own. View our Disclosure Policy for more info.